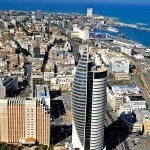 Haifa is the largest city in northern Israel, and the third largest city in the country, with a population of over 277,082. Another 300,000 people live in towns directly adjacent to the city including Daliyat al-Karmel, the Krayot, Nesher, Tirat Carmel, and some Kibbuzim. 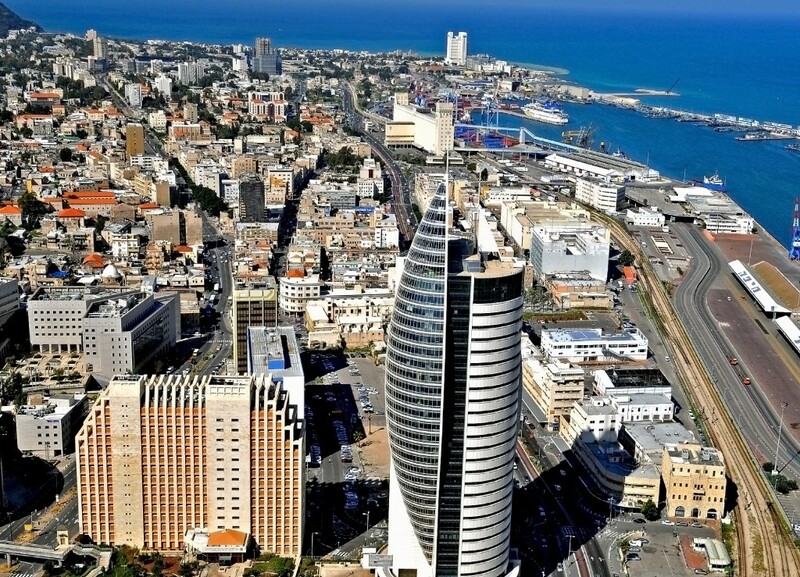 Together these areas form a contiguous urban area home to nearly 600,000 residents which makes up the inner core of the Haifa metropolitan area. It is also home to the Bahá'í World Centre, a UNESCO World Heritage Site and destination for Baha'i pilgrims. 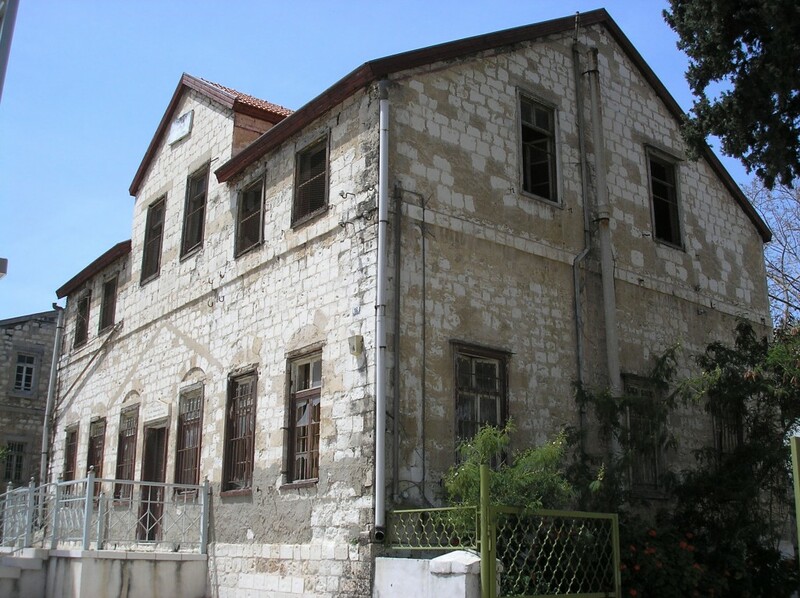 Built on the slopes of Mount Carmel, the history of settlement at the site spans more than 3,000 years. 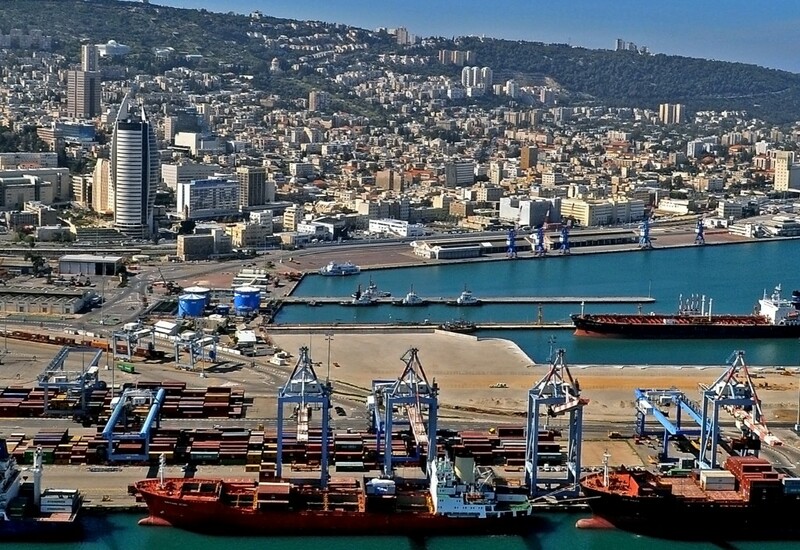 The Port of Haifa is the largest of Israel's three major international seaports, which include the Port of Ashdod, and the Port of Eilat. It has a natural deep water harbor which operates all year long, and serves both passenger and merchant ships. It is one of the largest ports in the eastern Mediterranean in terms of freight volume and handles about 26 million tons of cargo a year. 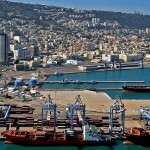 The port employs over 1,000 people, with the number rising to 5,000 when cruise ships dock in Haifa. 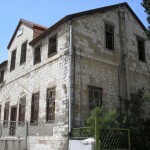 The German Colony (Hamoshava Hagermanit) (Hebrew: המושבה הגרמנית‎) was established in Haifa in 1868 by the German Templers. It was the first of several colonies established by the group in the Holy Land. Others were founded in Sarona near Jaffa, Galilee and Jerusalem. 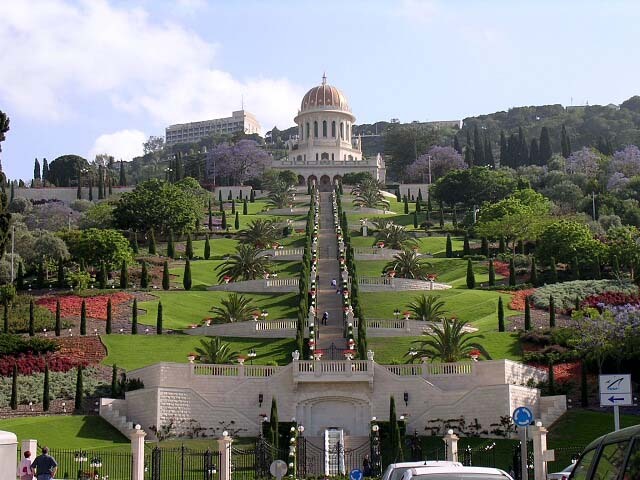 he Terraces of the Bahá'í Faith, also known as the Hanging Gardens of Haifa, are garden terraces around the Shrine of the Báb on Mount Carmel in Haifa, Israel. 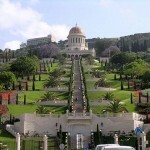 They are one of the most visited tourist attractions in Israel. 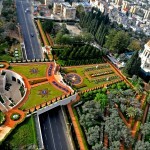 The architect was Fariborz Sahba of Iran and the structural engineers were Karban and Co. of Haifa. 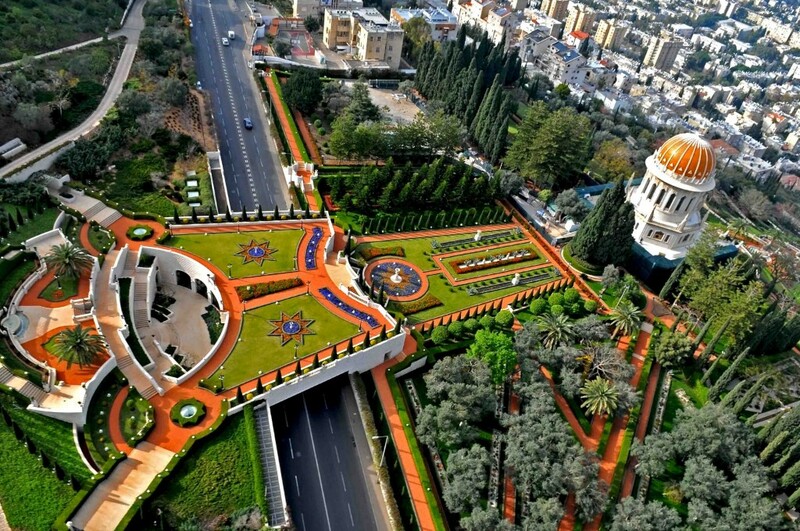 Along with the Baha'i Holy Places in Western Galilee, it is a UNESCO World Heritage Site. In the last two years, Masada street in the Hadar neighborhood has turned into the city's hippest street, and yet it is still considered a secret among locals and real estate sharks. An assortment of trendy coffee shops, tiny boutiques, vintage and antique shops, a fantastic mosaic store and a unique atmosphere. Try the Elika cafe, where the crowd includes young people, students, Jews and Arabs. Order a breakfast of lafa (aka Iraqi pita) and labane cheese, and enjoy the area's hipster vibes. Madatech, Israel's National Museum of Science Technology and Space, Haifa, is Israel's largest science museum.